Whether it is a quick and comforting noodle bowl or a hearty slow-cooked pie, this book celebrates food’s power to restore, revive and rejuvenate. But it isn’t just about the food on your plate: it’s about how it gets there. 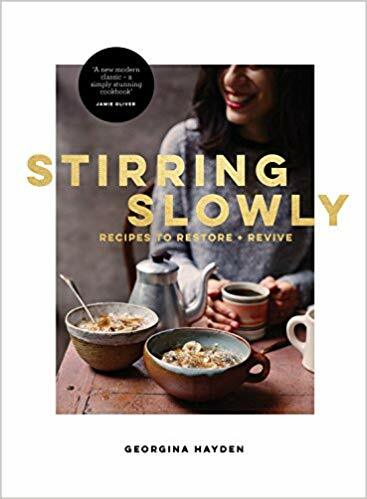 Stirring Slowly celebrates time spent in the kitchen. Wile away a happy hour stirring a creamy black dhal, or give your undivided focus to flipping caramelised apple, ricotta and hazelnut pancakes – because cooking nourishes you inside and out.